George Weah's son Timothy is set to snub interest from the likes of Chelsea and AC Milan to sign professional terms with Paris Saint-Germain, Goal can confirm. As first revealed by L'Equipe on Saturday, the New York City-born 17-year-old is set to turn pro with the club he joined in 2014. Weah and his representatives entered discussions with the PSG hierarchy in February and the negotiations have reached a successful conclusion despite interest from elsewhere. The forward has been courted by the likes of Chelsea and Milan as well as other French clubs including Lille and Monaco. But PSG have avoided seeing another promising another young player leave their ranks by tying Weah down to a three-year contract. Weah, who was born in Brooklyn and later moved to Florida, has opted to represent the United States at international level over his father's native Liberia and is considered one of the top prospects in the American system. He represented the States at the CONCACAF Under-17 Championship earlier this year and is expected to be part of their squad at the Under-17 World Cup in India in October. Should El Tri fear Cristiano Ronaldo? His father George won the Ballon d'Or in 1995 and played for Monaco, PSG, Milan and Chelsea, all of whom have now pursued Timothy. 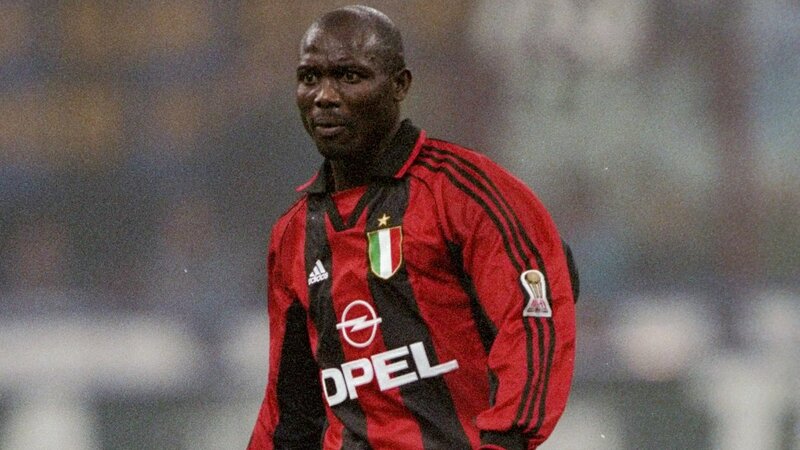 The elder Weah won the Ligue 1 title with PSG in 1993-94 and is now a senator in Liberia. He won 60 caps with the west African nation, scoring 22 goals, and is regarded as the greatest player they have produced.